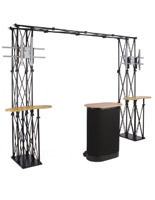 These TV Stands For 46" Flat Panel TV Feature Two Television Racks with Desks! 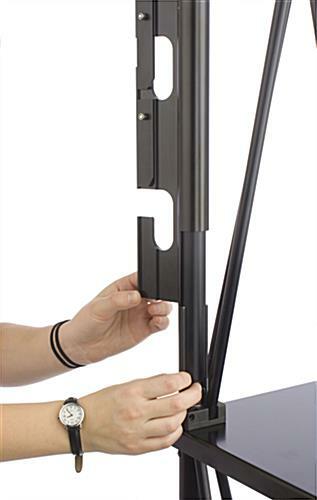 These TV Stands with Mounts Provide a Static Image with Video Displays! 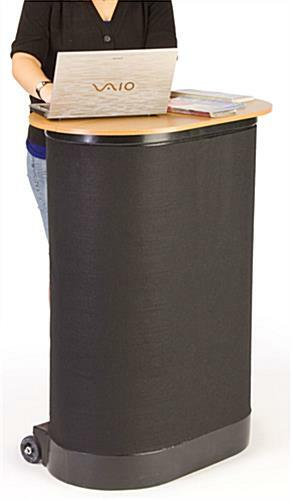 These TV Stands Are Some of the Popular! 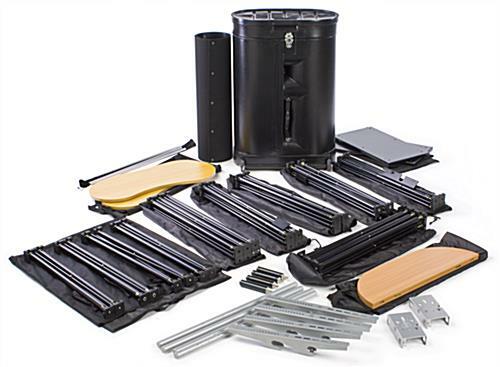 TV stands can maintain (2) up to 60" TVs weighing fewer than 80 lbs. 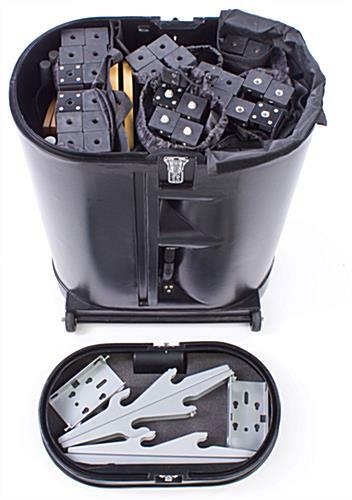 The brackets provide the essential tools to attach most TVs, despite the fact that some may need precise screws obtainable at any indigenous tools shop. 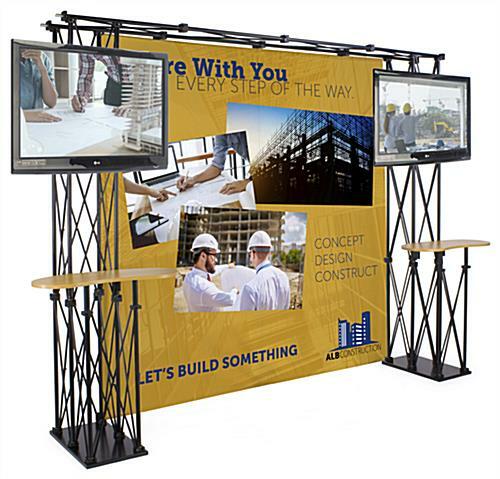 Moveable display booths, TV stands provide (2) counters on every truss side for exhibiting from or setting informative pamphlets and product. These counters incorporate a kidney bean form and tend to be 31" broad. These TV stands for 46" flat panel TV enable you to make an intriguing booth that will assist you garner the curiosity of onlookers. Purchase the TV stands now to assist draw clients in by conjoining conventional images with the contemporary electronics of your Toshiba, LG, or other TV! 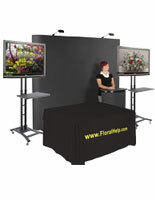 These moveable booths, TV stands have an 8' x 8' tailor-made 720 dpi artwork supplied that will surely draw awareness to one's own booth. 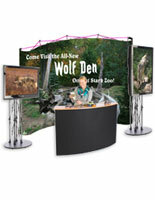 This artwork is attached to the display utilizing (11) 2" x 2" hook and loop squares placed around the truss. 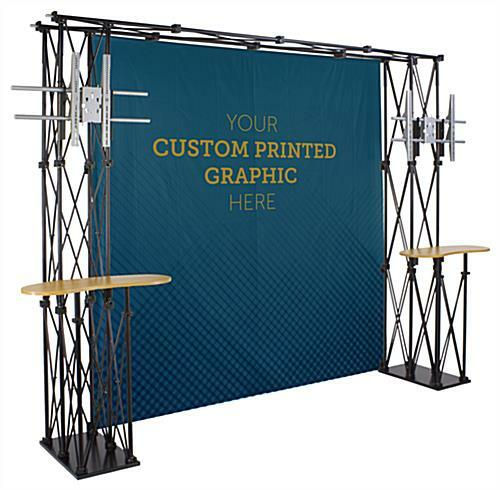 Moveable display booths, event expositions, and different TV stands have a collapsible truss design to effortlessly assemble the product with the supplied directions. 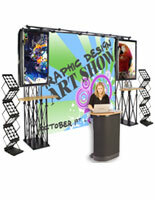 It is possible to set up this display in a compact location caused by this design. 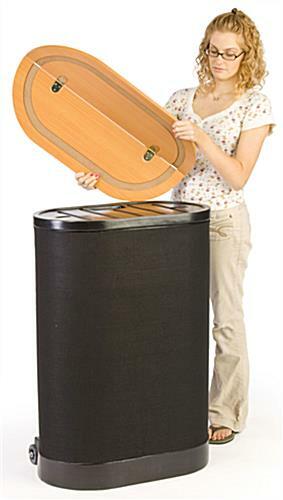 TV stands likewise provide a carry case to effortlessly bring this Moveable display to and from functions. 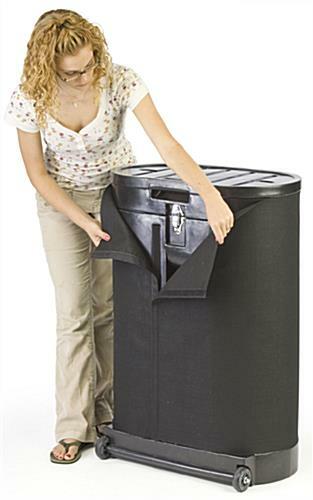 This case likewise acts as an extra counter by setting the supplied tabletop on this Moveable case. Please Note: Depending on the size of your television & how you have each mounted, some of graphic will be obscured when viewed straight on. However, when looking at banner from different angles, you will be able to see the entire graphic.